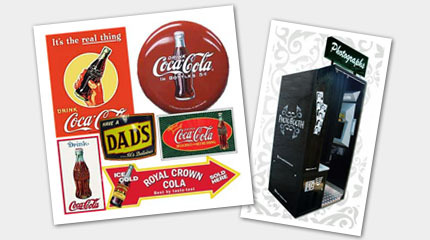 Jukeboxes are perfect for that special occasion, holiday or casual get together. It’s also a great low-cost option to hiring a band, combo or DJ! 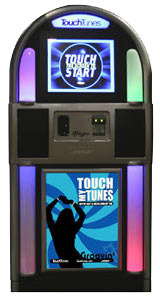 Our digital jukebox allows guests to choose from more than 700,000 songs. 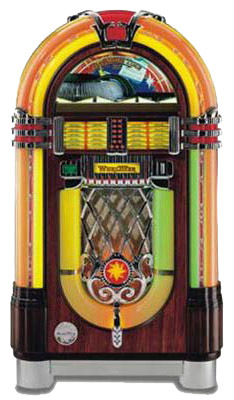 Our Wurlitzer bubbler jukebox is pre-loaded with hit songs of the ‘50s, ‘60s and ‘70s. Let Courtesy Coin deliver a digital or CD jukebox to your next event. Our high quality photo booths, novelty sets and props can create a whimsical atmosphere that will complement and enhance your party’s theme. Courtesy Coin has a wide selection of specialty items that will bring a unique and entertaining experience to your next event!